Today's health care system is broken. Unfortunately, you cannot fix it or protect your practice by working more hours and taking care of more patients. The only way for you to effect "real change" is through the legislative process. Here are five easy things you can do for your practice starting today - right at your desk. Keep track of medicine's top priority issues throughout the session by subscribing to the daily Legislative Hotline, which is now included in Texas Medicine Today. Log in to your member profile on texmed.org and visit the Edit My Interests page. Select "Health care issues in the Texas Legislature" as one of your Grassroots and Advocacy interests and TMA will send updates on the latest bills affecting medicine to your inbox each day lawmakers convene at the Capitol throughout Texas’ 86th legislative session. Get to Know Your Legislators. When medicine speaks, legislators do listen, especially if they've heard from you before. Work through your county medical society to set up a local physician meeting with your state representative or state senator. Very often, you or your colleagues know them personally. There is no substitute for this personal relationship! Find your elected official now. Sign up for First Tuesdays at the Capitol. Join hundreds of your colleagues in Austin the first Tuesday of the month. 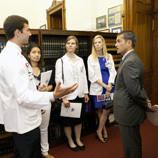 Legislators take note when doctors in white coats walk the halls of the capitol each session. TMA members, take a close look at TEXPAC. The Texas Medical Association Political Action Committee (TEXPAC) is the political arm of TMA. Its the largest bipartisan political action committee in the state and ranks first in size among other state medical association PACs. A successful year on the campaign trail frequently translates into success at the capitol. For more information go the TEXPAC website. Elected representatives respond best to their own constituents. You can't be an effective lobbyist if you don't know who's in Washington or Austin on your behalf. Find you incumbent -- then write those letters and make those phone calls. The involvement of physicians, medical students and alliance members is critical to the success of TMA's grassroots lobbying efforts. A vital asset to TMA's professional lobbying team, only you can give your state legislators the most accurate picture about how the issues really affect the practice of medicine and the patients of Texas. Remember, effective political action is a local activity. Get involved with your county medical society and get to know your senators and representatives when they're in their home offices. That way, they'll recognize your name and voice when you write or call them at the capitol. The First Tuesdays at the Capitol program is a huge success every legislative session. Join us in 2019 as more than a thousand physicians, medical students, and TMA Alliance members make the trek to Austin to lobby their state legislators on issues important to medicine. Never been to the Texas Legislature or Congress? Never fear. TMA's tips turn you into a master lobbyist in moments. Don't forget your secret weapon: Your own stories. 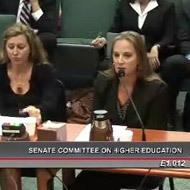 Testifying before Congress or the Texas Legislature? Get tips for writing and presenting compelling legislative testimony. TMA is helping to strengthen your practice by offering advice and creating a climate of medical success across the state. What could a TMA membership mean for you, your practice, your profession, and your patients? Got Get Involved with Advocacy questions? Call or email the Knowledge Center.